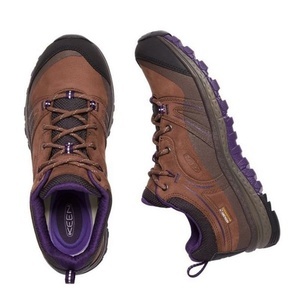 This new autumn is based on the Terradora WP model, which is made from high-quality waterproof Nubuck leather. 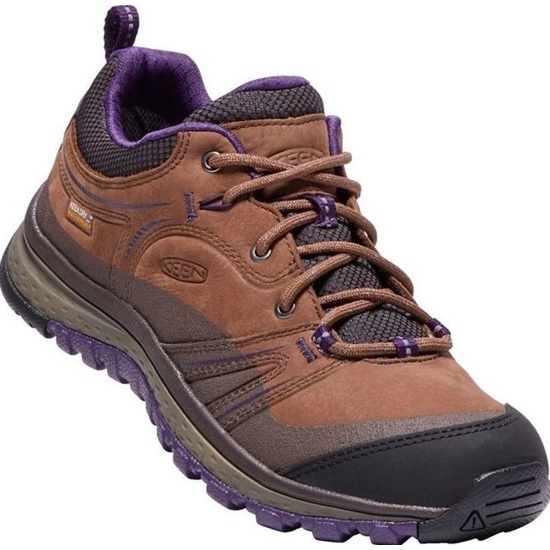 This low, sport-outdoor boot was developed as a specifically pure women's shoe that will be excellent for hiking and for active travel and day-long urban wearing. The waterproof, breathable PU membrane KEEN.DRY guarantees perfect protection for your feet in adverse weather conditions. Maximum comfort enhances the anatomical softening of the achilles and collar of the shoe. Strengthening the shoe for movement in uneven terrain is by using ESS arches. 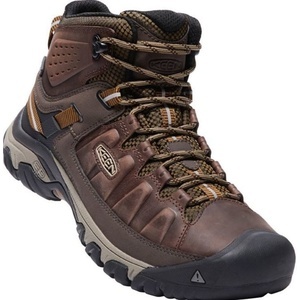 The boot is equipped with a removable, anatomically shaped PU foam with excellent arch support. The EVA midsole provides maximum comfort. The high quality rubber AL L-TERRAIN outsole with a 4mm deep multi-directional pattern allows perfect grip on unpaved terrain. Elegant design enhances the femininity of the whole shoe.